To provide exceptional, patient-centered, evidence-based healthcare to residents of Indian River County and surrounding areas. Continuing to develop as an integrated healthcare system, with specialty care provided (as appropriate) in our community. 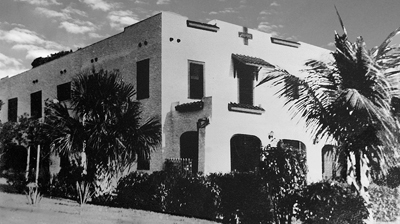 in 1932, Garnett Lunsford Radin, a 29-year-old registered nurse, purchased a hotel on Old Dixie Highway and opened Indian River Hospital. It had 21 beds and an artesian well water system, and one wood-burning stove provided the building’s only heat. Since opening our doors 86 years ago, Cleveland Clinic Indian River Hospital has grown from a small community facility to a 332-bed, not-for-profit hospital. 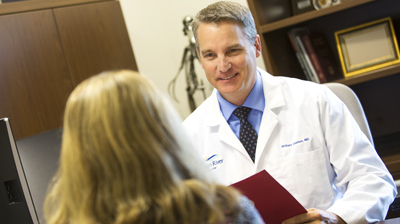 Our mission is to provide exceptional, patient-centered, evidence-based healthcare. We combine world-class clinical expertise with extraordinary technology and compassion. We’ve been designated as a Blue Distinction&reg Center for Cardiac Care and Knee and Hip Replacement by Florida Blue and awarded the Joint Commission’s Gold Seal of ApprovalTM. These recognitions – and more – have been achieved through a shared vision of our team, whose satisfaction comes from improving the health and well-being of our community. COMPASSION Concern for others with a desire to help them. RESPECT Serving others with high regard, consideration, and concern. TEAMWORK Cooperative effort by the members of a group or team who hold each other mutually accountable to achieve a common goal. EXCELLENCE Ability to consistently and constantly exceed the customer’s expectations through continuous learning and improving. ACCOUNTABILITY Accepting personal responsibility for our actions and taking ownership of results without blaming others or seeking excuses. Tell us about the extraordinary care you received and nominate one of our nurses for the Daisy Award. 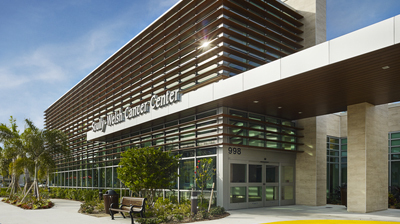 The Scully-Welsh Cancer Center, designed by Array Architects, was recognized as a Bronze winner by Modern Healthcare’s 32nd annual Design Awards. Recipients were recognized for two major industry trends: building flexible spaces that can withstand dramatic changes to the healthcare delivery model and re-connecting patients and their providers to nature in environmentally-friendly facilities. Facilities that received awards not only incorporated nature into the building’s design but also extended the facilities into the outdoors to benefit patients, providers and the greater community. Cleveland Clinic Indian River Hospital has has achieved The Gold Seal of Approval® from the Joint Commission®. The hospital has earned The Joint Commission’s Gold Seal of Approval for Advanced Certification for Total Hip and Total Knee Replacement. The American Association of Critical-Care Nurses (AACN) recently conferred a bronze-level Beacon Award for Excellence on Cleveland Clinic Indian River Hospital. The Beacon Award for Excellence recognizes unit caregivers who successfully improve patient outcomes and align practices with AACN’s six Healthy Work Environment Standards. Click here to learn more. Cleveland Clinic Indian River Hospital received accreditation from the American College of Radiology. Cleveland Clinic Indian River Hospital has been awarded a three-year term of accreditation in ultrasound as the result of an extensive review by the American College of Radiology (ACR). Click here to learn more. Cleveland Clinic Indian River Hospital has been awarded a three-year term of accreditation in computed tomography (CT) by the American College of Radiology (ACR). Click here to learn more. Named among Health Care’s Most Wired® by a recent survey conducted by the American Hospital Association (AHA) Health Forum. Click here to learn more. 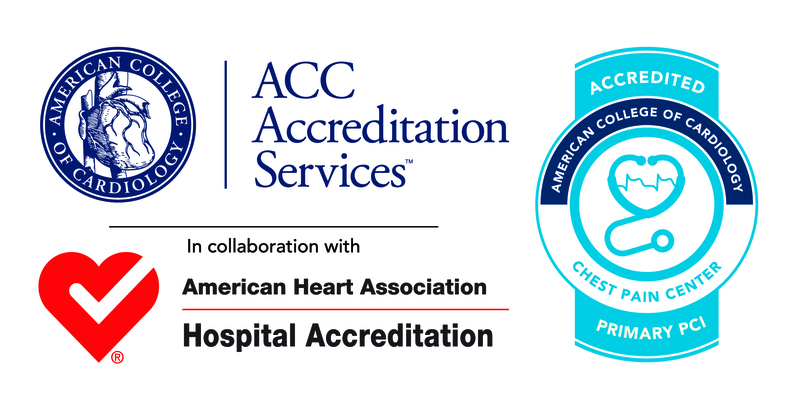 Cleveland Clinic Indian River Hospital has received the American Heart Association’s Get With The Guidelines® Heart Failure Gold Plus Achievement Award and is also recognized on the association’s Target: Heart FailureSM Honor Roll. Click here to learn more. Cleveland Clinic Indian River Hospital has received the American Heart Association/American Stroke Association’s Get With The Guidelines® Stroke Gold Plus Quality Achievement Award and Target: StrokeSM Honor Roll Elite Award for 2018. Click here to learn more. Cleveland Clinic Indian River Hospital has been designated as a Blue Distinction® Center+ for Cardiac and Knee/Hip Replacement Surgeries. 2018 Readers’ Choice Award winner for Best Hospital as voted by the Hometown News readers of Vero Beach. First hospital in Florida to receive the March of Dimes ’39-week initiative award’ for reducing the number of induced C-section deliveries between 36 and 39 weeks. As a community-based medical school, Florida State sends its third- and fourth-year students to regional campuses across the state. Students from the College of Medicine’s Fort Pierce Regional Campus complete their clinical rotations in area physician offices and hospitals. Cancer program accredited by the American College of Surgeons Commission on Cancer. Accredited since 1989. Cleveland Clinic Indian River Hospital is designated as a Chest Pain Center v5 with Primary PCI Accreditation. Cleveland Clinic Indian River Hospital received accreditation by the College of American Pathologists.